Pea plant growing climbers of the genus Pisum also known as Garden Pea plant, Pea plant annual plant, grow in mediterranean, temperate or subtropics climate and growing in hardiness zone 2-10a in the spring or 10b-11 as autumn planting. Leaves edible in color green, leaves shape oval. Flower color can be: white or purple in butterfly shape. Seeds round and small until 0.5cm, the Pea plants grow in pods edible but fibrous 5-10+ Pea plants in one pod, pods also edible. 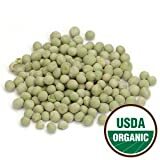 Sugar Snap (Pisum sativum) is a super-sweet snap pea, to which all other snap pea varieties are compared! What can be done with big quantities of Pea plant seeds?